Remove fuel subsidies and shift spending to productive investments. Diversify the sources of government revenue. 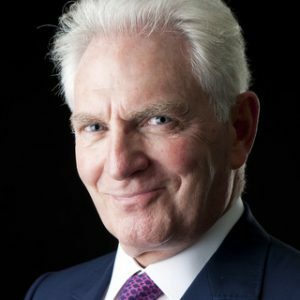 For more information on how to book Nasser Saidi as a speaker for your conference or event, please contact Leo von Bülow-Quirk at leo@chartwellspeakers.com or call 0044 (0) 20 7792 8000. Commenting on the issue of drilling for shale gas, Matt Ridley, British journalist and author of “The Rational Optimist”, has argued in his latest Times opinion piece that householders can’t be allowed to hold up underground energy projects. In his latest posting as Senior Columnist for London’s City A.M. newspaper, John Hulsman wrote on how we got to where we are in Ukraine (read: mistakes the West made with regards to the on-going crisis), and how to best Putin in the end. John argues that the West’s world-view betrayed a total ignorance of the realities of geopolitics; Ukraine is not a primary Western interest, whereas Putin was prepared to risk a lot to achieve an end state wherein Kiev remained within the Russian sphere of influence. John adds that to “see the crisis as it is means accepting the notion that interests primarily guide a state’s foreign policy.” Crucially, Western utopian policymakers were unable to do this. Two days before our Breakfast Panel on ‘The Energy Revolution’, iGas has announced that the companies holdings in north-west England contain between 15-170 trillion cubic feet of shale gas, far more than previously expected. Allister Heath writing for City A.M. suggests the opportunity comparable to North Sea oil and that Britian should embrace the resource and develop it rapidly. Look out for our write up on tomorrows panel for further ideas on what to do about this new resource. It was a pleasure to sip coffee and talk the future of energy with Simon Wright last week. Simon is Energy and Commodities correspondent for The Economist, and author of the paper’s recent Special Report on the impact of unconventional sources of natural gas. Our conversation ranged from shale gas in the US (looking good) and Eastern Europe (a political fiasco), to the future of Big Oil (not bright, in his view). It was fascinating to hear his take on the dynamics shaping the global energy and commodities markets – not only the cutting edge businesses and technologies, but also the political contexts in which they operate. To find out more about Simon Wright, or to book him as a speaker for your conference or event, please contact Leo von Bülow-Quirk at leo@chartwellspeakers.com or call 0044 (0) 20 7792 8000.